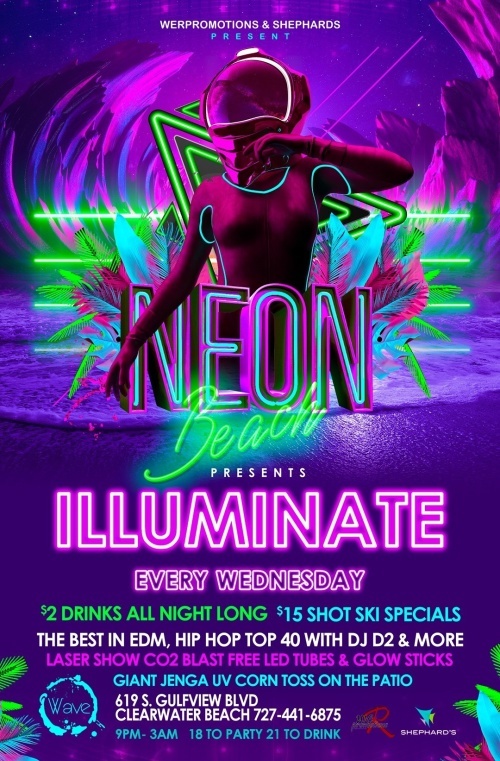 ILLUMINATE is a whole new Wednesday Night season presented by We R Promotions and Shephard's Beach Resort! D2 brings the hottest top 40 tracks along with chart topping Dance Music mixed with electronic dance. This is one of the most fun nights of the week to come party at The Wave. © 2019 Wave Nightclub. All rights reserved.